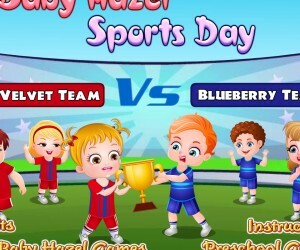 Baby Hazel Games will take you on a journey designed to help little kids identify shapes in this interactive game. Parents of preschool children will want to play with their child to help them control the mouse and advance through each stage of the journey. Each scene features Baby Hazel with a thought cloud showing what she is thinking about. It is your job to locate what she is thinking about and to get these items where they need to go. Have fun putting puzzles together and trying to keep Baby Hazel happy as her interests change from one thing to the next. Use the cookie cutters to make different shapes in the dough. Help with baking, decorating, and eating the cookies. Be sure to clean up the mess when you are finished! Mommy’s room is loads of fun, putting on makeup and playing with jewelry and toys. Unfortunately, an object gets broken and needs to be repaired. Keep an eye on the timer up top because it needs to be all better before mommy gets home! A group of monkeys has wreaked havoc on the playground. All of the equipment is in need of repair before it can be played on. Help Baby Hazel fix everything from swing sets to light posts. With your help, she’s quite the handy baby! Preschool children will not only learn shape identification but there are opportunities to reinforce colors and teach them about behaviors that are right versus wrong. Older children who know how to use a mouse will further develop their fine motor skills and hand-eye coordination as they learn to accurately click and drag objects to their locations. It is shapes time!!! Little Baby Hazel will explore different shapes today. 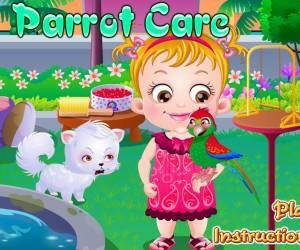 Play with Baby Hazel and teach her different shapes through fun filled activities. First use some toys to teach Baby Hazel about the basic shapes. Then take her to kitchen and let her explore more shapes by baking some cookies. 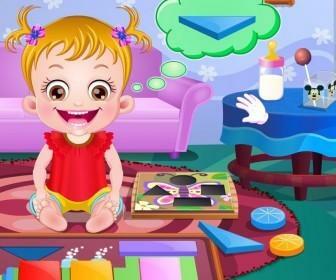 When mischievous Baby Hazel breaks one of the belongings of her Mom, help her fix it while improving her shapes skills. Finally take her to the park to understand the use of shapes in the outside world.